If it seems as though Apple Inc. (NASDAQ:AAPL) has been fighting with battery issues with the iPhone 6 and iPhone 6s for months, that’s because it has. There was a limited recall of iPhone 6s batteries blamed on a manufacturing issue, problems in China and recently reports of widespread iPhone 6 sudden shutdown issues that seemed battery related. The company always denied any widespread issue. AAPL has finally acknowledged a problem related to the iPhone 6 battery … and says it has released a fix. If there’s one thing 2016 will be remembered for when it comes to consumer electronics, it’s the challenges of working with lithium-ion batteries. The poster child for just how wrong this technology can go is Samsung Electronic Co Ltd (OTCMKTS:SSNLF). Samsung had a terrible 2016 after its flagship Galaxy Note 7’s lithium-ion batteries were implicated in multiple fires, This led to a complete recall of the device, an estimated $10 billion hit, a seriously damaged reputation and an extensive investigation to pinpoint the cause. In comparison, AAPL’s iPhone 6 battery woes have been less spectacular, but the cloud over Apple’s previous two generations of phones has lasted just as long — if not longer. And they proved much more frustrating in terms of nailing down a cause, or a fix. That’s because there appear to be multiple issues at play. And just as Apple admits there’s a problem and announces a solution, another iPhone 6 battery issue seems to pop up. In 2016, Apple had to deal with an investigation in China over reports that iPhone 6 and iPhone 6s batteries were not only failing, but leaving the devices with expensive damage. Apple’s findings pointed to cheap knock-off chargers as the culprit. Then there were reports of iPhone 6s phones unexpectedly shutting down. Apple eventually pinpointed the cause as being a manufacturing defect in a batch of batteries. A battery exchange program was launched, but that got off to a rocky start when Apple Stores were flooded by iPhone owners hoping for a replacement battery, and a backlog of repairs. Just as that mess was being sorted out, complaints began to rise of iPhone 6 sudden shutdown issues. This was a new iPhone 6 battery issue and seemed to affect a growing number of users. It also affected the iPhone 6s, but not the iPhone 7. The problem got so bad that at one point in January, rumors started that Apple was planning to launch a full-scale iPhone 6 battery exchange program. However, AAPL continued to deny there was a widespread problem with iPhone and 6s batteries. Now, Apple has come clean. The company finally admitted that iPhone 6 and 6s phones have been suddenly and randomly shutting down, forcing owners to plug them into a charger before they can be restarted. But, AAPL says it released a fix and it’s effective. AAPL says the iPhone 6 battery (and in some cases the iPhone 6s as well) suffers from a limitation of all-lithium-ion batteries. As these batteries get older, they sometime deliver power unevenly. This could trigger the iPhone’s power management system to force an emergency shutdown to protect the device. Apple made changes to that system in iOS 10.2.1, essentially making it less sensitive to minor fluctuations. It also added new functionality so that should an iPhone 6 sudden shutdown occur, the user can restart their device without having to be connected to a charger. The company says it also will add a battery diagnostic screen to iOS that warns iPhone owners when their battery requires service. The fact this issue was directly related to aging lithium-ion batteries explains why it was the iPhone 6 battery being implicated more frequently than the 6s, why the numbers seemed to keep growing and why the iPhone 7 hasn’t yet been affected. 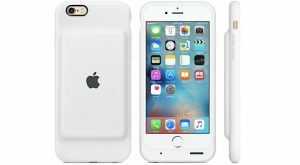 Will this mark the end of AAPL’s drawn out iPhone 6 battery saga? The company has been playing whack-a-mole trying to identify issues with its lithium-ion batteries. But this fix seems to be enough of an umbrella solution that it may finally be able to put this chapter behind it. Is Apple Inc. (AAPL) Preparing a Red iPhone 7? Article printed from InvestorPlace Media, https://investorplace.com/2017/02/apple-inc-aapl-iphone-6-battery-issue/.